This list was intially based on the one published in J.W. Lowe's British Steam Locomotive Builders Goose & Son Norwich 1975, which was reprinted in London's Industrial Archaeology 1984. I am certain there were some errors and also that more locomotives were built than have been recorded. I have added as much new information as I can from such sources as I can find, notably CH Rickon's excellent articles in the Stephenson Locomotive Society's Journal 1961. I have not repeated any information from new sources that agrees with previously known information, but have provided alternative information where it may possibly be correct. 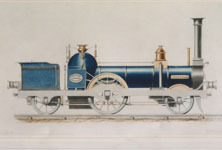 There are many errors that appeared in print, particularly in the early Railway press, for example that the cancellation of the 1852 order for locomotives to Russia ruined the company, or that "Scott" was the locomotive that appeared at the 1862 Great Exhibition. With enigmae like "Ophir" and the later fates of "Pigmy Giant" and the Exhibition "Little England" one can only make educated guesses. I would be delighted to receive further information on any aspect of the Hatcham Ironworks output. "We are informed that a machine of this description is in use upon the London and Croydon Railway, having been lately made for Mr Gregory, the Resident Engineer, by Mr George England, Engineer. The machine is very light and elegant in appearance, and is capable of carrying seven or eight persons at a rate of 18 miles per hour. It was propelled on Monday last by Mr Roberts, Deputy Chairman of the Croydon Company, and Mr England, the inventor, from New Cross station to the Dartmouth Arms (now renamed New Cross Gate and Forest Hill). It is intended to be used by Mr Gregory and his assistants to traverse the line, inspecting any repairs or other works going on connected with the railway, and will, in our opinion, be found particularly useful for this purpose and more especially so in connection with those works upon the line which it is necessary to carry on during the night." The Railway Times Sat 21st October 1843 Thanks to Geoff Smith. Not yet referred to by name, the locomotive began trials at the end of November. Within a week public services were being worked. A demonstration run to Brighton was arranged. From February 1st 1849 "Little England" began working the Lynn & Wisbech branch of the East Anglia Railway. (The Railway Times 3rd March 1849) It is likely that she soon returned to the works for modification, including fitting of 9" x 12" cylinders, removal of name and sale. The Brighton eveidently found the type unsuitable, but she would surerly have made an interesting addition to the Craven collection. 1849/Works no. ?/2-2-2WT/Inside cylinders 9' x 12"/Driving wheel 4' 6"/Standard gauge/Dundee, Perth and Aberdeen Junction Rly/"Eclipse"
1849/Works no. ?/2-2-2WT/Inside cylinders 9' x 12"/Driving wheel 4' 6"/Standard gauge/London & Blackwall Rly/"Dwarf"
1850/Works no. ?/2-2-2WT/Inside cylinders 9' x 12"/Driving wheel 4' 6"/Standard gauge/London & Blackwall Rly/"Pigmy Giant"
1850/Works no. ?/2-2-2WT/Inside cylinders 9' x 12"/Driving wheel 4' 6"/Standard gauge/Edinburgh & Glasgow Rly/"England"
On trial on the E & G ran 95 miles (Edinburgh to Glasgow and return, with six stops in 90 minutes each trip. With seven coaches she used 8lbs.3 oz. per miles, with five coaches, 7lbs. 4oz. per mile, and with four 6lbs.5 oz. For the period including lighting up and standing 4 hours between each trip she used 9lbs.7 oz. of coke. 1850/Works no. ?/2-2-2WT/Inside cylinders 9' x 12"/Driving wheel 4' 6"/Standard gauge/Liverpool Crosby & Stockport Rly/"England"
“On September 7th 1850, another “Little Englander” commenced service of the Liverpool and Stockport Railway, under guarantee to haul a train of seven carriages up an incline of 1 in 100, stopping and starting upon it, at a speed of 25 miles per hour, and consuming not more than 10lb. of coke per mile; on the level the speed was to be 45 miles an hour. This engine frequently drew ten carriages under the conditions laid down for seven. 1850/Works no. ?/2-2-2WT/Inside cylinders 9' x 12"/Driving wheel 4' 6"/Standard gauge/Exhibition engine/"Little England"
“Samson” and “Hercules” were built to the same design as “Victoria” (which however had 14” x 20” cylinders as opposed to the England engines having 15” x 18” cylinders), already working on the London & Blackwall and being one of eight built by Jones & Potts in 1849/50. The England engines cost £1750 each with “Dwarf” and “Pigmy Giant” being taken in part exchange, valued at £700 each. E Craven SLS Journal 1955 p306. The above locomotives are supposed to have been a cancelled order for Russia. The Russian railways at the time used both 6’ and Standard gauge. Around this time this was standardised to 5’ gauge, and this, along with difficulty in paying for the order, probably led to the cancellation of the order. The Caledonian bought them in 1854. Two other locomotives of this sort (part of the cancelled Russian order ?) were bought in 1852 by the Scottish firm (Coalmasters?) C. Dunlop and Co. and named “Cuilhill” and “Monkland” They were sold to the Caledonian in 1857 and numbered 182 and 183. Colin Dunlop & Co. owned Collieries and an Iron works at Quarter, near Hamilton, Lanarkshire, plus Bredisholm Colliery, Baillieston and Drumpellier Colliery, Coatbridge. "Industrial Locomotives of Scotland" ILS 1976. p95. No other George England locos listed in this book as having worked in Scottish industry. 1854/5 /Works no. ?/ ?/ ?/ ?/Standard gauge/West Flanders Rly/No. ? 1855 /Works no. ?/ ?/ ?/ ?/Standard gauge/Sambre et Meuse Rly/No. ? In his wonderful book "The Chronicles of Boulton's Siding" (which despite its title is one of the best and most readable books on railways ever!) 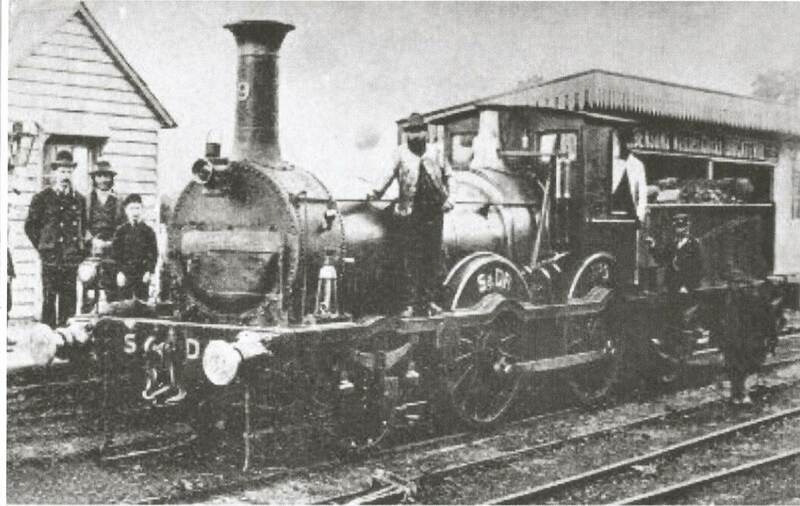 Alfred Rosling Bennett tells us that Isaac Boulton (perhaps best described as a gentleman locomotive dealer) bought "Ophir" in March 1866, along with two other locomotives, at an auction in Grays Chalk Quarries, in Essex, for the bargain price of £488 for the three. "Ophir" was at the time a 2-2-0, with leading wheels of 2ft diameter and drivers of 5ft. She had originally been built as a road engine and her front axle was still pivoted. She had three inside cylinders; all 5" x 10". As Bennett says "How Messrs. England came to build such an engine is not known. " Boulton rebuilt her as an 0-4-0ST with 2 inside cylinders 10" x 12 7/8" and 2' 7" wheels in which form she thrived, was hired out a couple of times and finally sold in April 1867 for £475. Bennett was aware she had worked on the Edenham and Little Bytham Railway, though quickly sold as being unable to cope with the loads and the gradients. CH Dickon considered that "Ophir" being a Hatcham product "does not seem likely". The Railway Magazine June 1960 p446 tells us the Edenham & Little Bytham Railway was built by Lord Willoughby de Eresby to connect his country estate at Grimsthorpe Castle, near Edenham, Lincs, with the GNR at Little Bytham. The line was single track, 4 miles long and opened in 1856, traffic being handled by "two 0-4-0 tank engines and a converted traction engine". In the September RM, Geoffrey Webb added more information (p661) confirming the "converted traction engine, named "Ophir" was soon found unsuited to the heavy gradients and had been disposed of by 1860." c) did he actually build some traction engines at Hatcham? Though there are no technical reasons why he could not have built traction engines as easily as railway locomotives (the well known Kent firm Aveling &Porter famous for their traction engines and road rollers built many for use on rails from the 1860s onwards which were particularly common in the cement industry around the Medway) the three inside cylinders seem un-England, somehow. I think b) is the most likley scenario. Bennett does not say why he is so sure she was a Hatcham product, perhaps she had an England works-plate. There is a both a photograph and a drawing of the rebuilt "Ophir" in "Chronicles" but they do not show this, though she does have an England look about her, particularly around the smokebox. Garretts of Leiston, may have built her? 2) What happened to "Pygmy Giant" and the Exhibition loco? "Pygmy Giant" probably remained on the Blackwall Railway until the Samson and Hercules arrived in 1852.
b) The Sandy & Potton Railway also had a "Little England" to run with "Shannon" so this could have been anytime from 1857 to 1862, when the LNWR bought the railway's assetts. e) Hamilton Ellis in "The North British Railway " says "This engine (implying it was the Exhibition loco) was bought by Isaac Watt Boulton in the middle 'sixties and broken up. In the meantime she had been on trial in Sweden"
A puzzle indeed, though the dates would suggest that b) and c) could have been the same engine. "A life of only fourteen or fifteen years seems very short for a gold-medal engine, but the fact was that the light expresses of the early eighteen-fifties had grown too haevy for such miniature locomotives in the 'sixties and the type was too special and too tiny to find any other sphere of usefullness. The same design on a larger scale would have probably done very well and survived longer." What was the loco supplied to the Edinburgh & Glasgow actually called? Sekon refers to "Little England" but implies that it was one of that class and not neccessarily the name of the loco. Campbell Highet says it was called "Little Scotland" , Hamilton Ellis says it was "Wee Scotland". There was a loco of that name but it was not an England loco. Surely "Wee Scotland" was a jocular riposte to "Little England"? 1862/Works No. 190/2-4-0/Inside cylinders 16" x 24"/Driving wheel 6' 6"/Standard gauge/Great Western Rly/No.154 "Chancellor"
1863/Works No. 199/0-4-0T/Outside cylinders 8" x 12"/Driving wheel 2' 0"/1' 11 1/2" gauge/Festiniog Railway/No.1 "The Princess"
1863/Works No. 200/0-4-0T/Outside cylinders 8" x 12"/Driving wheel 2' 0"/1' 11 1/2" gauge/Festiniog Railway/No.2 "The Prince"
1863/Works No. n/k/2-4-0T/ Outside cylinders 11" x 16"/Driving wheel 4' 0"/Standard gauge/Colne Valley & Halstead Rly/ "Cam"
1863/Works No. n/k/2-4-0T/Outside cylinders 11" x 16"/Driving wheel 4' 0"/Standard gauge/Colne Valley & Halstead Rly/ "Colne"
1864/Works No. n/k/0-4-0T/Outside cylinders 8" x 12"/Driving wheel 2' 0"/1' 11 1/2" gauge/Festiniog Railway/No.3 "Mountaineer"
1864/Works No. n/k/0-4-0T/Outside cylinders 8" x 12"/Driving wheel 2' 0"/1' 11 1/2" gauge/Festiniog Railway/No.4 "Palmerston"
"4th August 1864. Two large passenger engines suitable for excursion work offered by G England for £2800 apiece. Accepted by Beattie on 18th August 1864 and paid for 13th October following. Numbered 201 and 202 and transferred to the Engineers Department as No.9 "Harrison" and No.10 "Bidder" in August 1875 and April 1876 respectively. Both broken up in June 1889"
(Around 1862) “Well does the writer remember clambering on to the window sills of the erecting shop in Pomeroy Street, to filch a glimpse through the upper and unobscured panes of what was going on inside…. 1865/Works No. n/k/2-4-0/Inside cylinders 16" x 24"/Driving wheel 6' 0"/Standard gauge/Flanders Occidentale Rly/No.? The 14 locomotives above were originally ordered by the South Eastern Rly and some were cancelled due to the workman’s strike at Hatcham. "Altogether 14 were completed, of which four were accepted by the South Eastern (Nos 215-218), six sold to the West Flanders Railway and two shipped to Genoa, Italy." 1867/Works No. 234/0-4-0T/Outside cylinders 8 1/2" x 12"/Driving wheel 2' 2"/1' 11 1/2" gauge/Festiniog Railway/No.5 "Welsh Pony"
1867/Works No. 235/0-4-0T/Outside cylinders 8 1/2" x 12"/Driving wheel 2' 2"/1' 11 1/2" gauge/Festiniog Railway/No.6 "Little Giant"
1867/Works No. n/k/2-4-0/Inside cylinders 16" x 24"/Driving wheel 6' 0"/Standard gauge/Neath & Brecon Rly/No.1 "Neath"
1867/Works No. n/k/2-4-0/Inside cylinders 16" x 24"/Driving wheel 6' 0"/Standard gauge/Neath & Brecon Rly/No.2 "Brecon"
1856/Works no. 139/2-2-2WT/Inside cylinders 14"x 19"/Driving wheel 4' 6"/Standard gauge/Manchester, Sheffield & Lincolnshire Rly/No. 123 "Carlisle"
1856/Works no. n/k/2-4-0/Outside cylinders 15.5"x 18"/Driving wheel 5' 0"/Standard gauge/London & South Western Rly Engineering Dept./"Hawkshaw"
1857/Works no. n/k/0-4-0WT/Outside cylinders 9"x12"/Driving wheel 3'0"/Standard gauge/Sandy & Potton Rly* See Addenda/"Shannon"
"The engine was built in 1857 by George England & Co, Hatcham Ironworks, New Cros, London as a well tank 0-4-0 with wheel diameters of 2ft 10 1/2" and cyinders 9 1/4" x 12", for the proprieter Capt. William Peel RN of the Sandy & Potton Railway and cost £800. In 1862 the locomotive was sold to the LNWR, together with all other assets of the railway, for £20,000. She was numbered 1104 in the LNWR's duplicate list and put on trial in 1862 on the Cromford & High Peak Railway. This trial only lasted for two weeks as the engine did not perform well on the steep gradients and tortous curves of the CHPR. On return to Crewe she was employed on works and local station duties and renumbered in 1872 to LNWR No. 1863." "In 1862, "Shannon" was sold by the Bedford & Cambridge Railway to Joseph Firbank, the railway contractor, who later disposed of it to the LNWR." "She was bought by the Wantage Tramway. "after a long and successful inspection by a Mr Daniel Young of Witney (who charged £7 13s 0d. for his services) the Directors decided to make an offer to the LNWR (who were asking £350) for 1863, but the reply received from Mr FW Webb at Crewe was not what was expected. The letter stated that when the LNWR fixed a price for an item they had for sale that was the figure they wanted and offers were not required! In addition as the Wantage Tramway had dragged its feet in making a reply the locomotive in question was being purchased by another party. However after hurried consultations a cheque was dispatched for £365 8s. 1d in May 1878 and Shannon (under her own steam) was moved from Crewe to Oxford. An agreement with the GWR allowed her to transfer to the GWR metals at Oxford and continue her journey, again under her own steam, to Wantage Road station. Soon after arriving at Wantage she was officially known as No.5 and occasionally referred to as "Jane", though she never carried this name...during her service she was little altered, never receiving a new boiler, though new cylinders were fitted in 1882. In 1896 she went to Swindon works for heavy repairs and, in early 1921 (again at Swindon) received new tube plates, new tubes and a back plate, plus steam brakes, being returned to service on 7th March 1921. After the overhaul No.5 often ran 65 miles a day, making 12 return trips. In 1929 she left Wantage once again but this time to the Avonside Engine Co. in Bristol for a "general overhaul" returning in February 1930. In 1939 a further overhaul at the GWR Sindon works saw her repainted in green with the lettering "W.T.Co. No.5" painted in yellow on the cabside and a works plate carrying the words "Registered by GWR No.209 1941". On the 25th April 1946, after the closure of the tramway, the GWR purchased the locomotive "Shannon" for £100 at then clearance sale. They moved her (coupled into a goods train) to Swindon in May and then overhauled her yet again, the work also including repainting and adding nameplates to the boiler with the name "Shannon". After a meeting in Swindon it was decided that a fitting resting place would be on the platform at Wantage Road GWR where she was placed in 1848.."
outside cylinder side tank engine by George England & Co. to which some one had added a pair of trailing wheels, probably with the purpose of steadying her for passenger work over the Hayling Island main line. These trailers had another result- they constituted No.2, a class by herself, for they were larger than the drivers! Thus equipped for credibility continuing the express connections from the Metropolis, "Portsmouth" found herself an 0-4-2, with 9 1/2" x 13 " cylinders, 2ft 10ins coupled wheels and 3ft trailers....( compare with Reg Wilkinson's figures for "Shannon"- their wheelbase appears to be the same too) Her career under Boulton is obscure until 1871 when she was hired to the Phospho-Guano Company, Seacombe, on which occasion her name was changed "by desire" to "Phospho". In October, 1872 she went to Brown, Bayley & Dixon, Sheffield; then to Liverpool; then finally about 1877 to Sheffield once more. Mr Boulton is understood to have done very well out of this little engine." AR Bennett "The Chronicles of Boulton's Siding" p147-150. 1858/Works No. n/k/2-4-0/Outside cylinders 15" x 18"/Driving wheel 5' 0"/Standard Gauge/London & South Western Railway Engineering Dept./"Brunel"
"On 6th January 1860, the Locomotive Superintendant, (GN Anderson) made a report 'regarding the quality and workmanship of the two six-wheeled tank engines.' The two that arrived in India became BB&CIR nos. 3 and 4; they were probably similar to Nos. 1 and 2, previously supplied by EB Wilson (Nos. 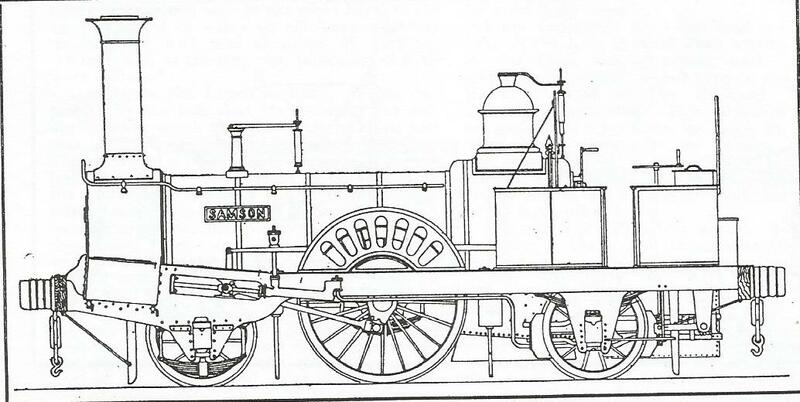 568/9 of 1857), namely 2-4-0WT, with 4' coupled wheels and 11" x 17" cylinders, (interestingly the same dimensions as those of England's 1862 tank for the Somerset & Dorset, though that one had side tanks). In February, 1865, No 4 was sold to the Bombay Reclamation Company, No.3 (together with No.1) were sold to the Indian Government in March 1868 for the Abyssinian expedition (See Addenda), but these two engines were returned in March 1870, and were condemned in December 1876. " 1859/Works No. n/k/2-4-0WT/? cylinders 11"x 17"/Driving wheel 4' 0"/5' 6" Gauge/Bombay, Baroda & Central India Rly/? 1859/Works No. n/k/2-4-0WT/? cylinders 11"x 17"/Driving wheel 4' 0"/5' 6" Gauge/Bombay, Baroda & Central India Rly/? 1859/Works No. n/k/2-4-0WT/? cylinders 11"x 17"/Driving wheel 4' 0"/5' 6" Gauge/Bombay, Baroda & Central India Rly/? 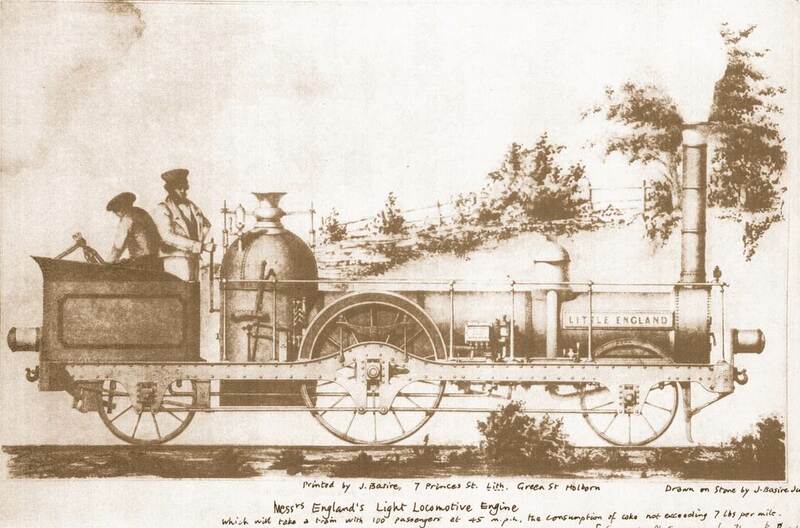 "In 1858, the Bombay, Baroda and Central India Railway ordered six 5' 6" gauge ballasting engines; in January 1859,it was reported that two were ready for shipment in London, two more would be ready in three weeks, and two in six weeks. In fact the locos do not appear to have been shipped until several months later. Two were shipped by the Indian Ocean and had arrived by Jan 1860. Meanwhile on 2nd November 1859, news had reached London that the ship Jessica, containing the other four engines, had been abandoned at sea and was a total loss. The four lost engines were not reordered from George England- they were replaced by four similar engines built by the Vulcan Foundry (No's 449-452 of 1860) which became Nos. 15-18 on the BB&CIR"
1859/Works No. n/k/2-4-0/Outside cylinders 15" x 18"/Driving wheel 5' 0"/Standard Gauge/London & South Western Railway Engineering Dept./"Hesketh"
1860/Works No. 160/2-4-0T/? cylinders 15" x 20"/Driving wheel n/k/5' 3" Gauge/Melbourne & Suburban Rly/"Hawthorn"
1860/Works No. 161/2-4-0T/? cylinders 15" x 20"/Driving wheel n/k/5' 3" Gauge/Melbourne & Suburban Rly/"Richmond"
"The goods engines, Nos 10 and 11 were not named. Of 2-4-0 type, with side tanks extending forward to the rear of the smoke box, they had a very short wheel base, with the trailing axle in front of the firebox, and consequently a very long overhang at each end. The outside cylinders were 15" by 22" and the coupled wheels 4' in diameter, that of the leading wheels being 3'. Both were broken up in 1882." "6th December 1860. Owing to earthslip near Colyton and to permit proper ballasting of Exeter-Yeovil line, two ballast engines ordered from G England of similar dimensions to previous locos from this firm. 21st February 1861. Paid £5600. These were No 3 "Stephenson" (withdrawn March 1884) and No4 "Locke" (broken up October 1889). " 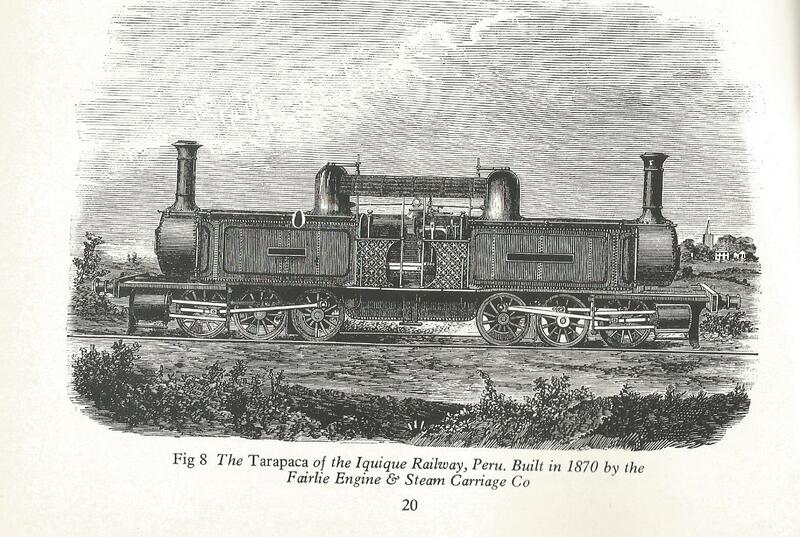 "Ordered 7th March 1861, another ballast engine for use on Exeter extension. Paid £2800 2nd May 1861. Broken up 12/1892"
"Ordered 14th March 1861, another ballast engine for Exeter line doubling. Paid £2800 2nd May 1861. Broken up Feb/1883"
"Purchased from George England for £1890 on 23rd January 1862. Broken up June 1909"
" On 21st December 1860 tenders were invited from a number of reputable builders. Those received were read over and discussed on 1st February 1861 when the lowest by George England of Hatcham Ironworks, New Cross, London was accepted, and on the following day eight four-coupled engines at £1850 each and six four-wheel tenders at £300 each were ordered for delivery in August and September 1861. On 22nd March 1861 Gregory reported that on his instructions one of the tenderless engines was to be modified and fitted with a water tank at an extra cost of £150 (this was No.8, presumably the tank was a well tank, placed between the frames). Unusually for the period construction went ahead as scheduled, so by 1st July the six tenders and four of the engines (1, 3, 4 and 5) were assembled and awaiting orders for delivery. Unfortunately the Somerset Central was unable to accommodate them and on 29th September wrote requesting heir storage under cover at their expense until the Templecombe-Highbridge line could accept standard gauge engines. (The Somerset Central ran from Highbridge on the broad gauge (7ft 0 1/4") Bristol & Exeter Railway to Glastonbury, later being extended to Burnham-on Sea and to Wells. It was worked by locos and stock from the B&ER. Eventually a third rail was laid to accommodate standard gauge stock. The standard gauge Dorset Central Railway was making its way North from Wimbourne by degrees and they eventually joined up and amalgamated to become the Somerset & Dorset Railway.) As space was unavailable at New Cross this request was refused and resort was made to the London & South Western's offe of free siding space in the open at Salisbury. Robert Andrews was appointed locomotive superintendent at £300 per annum on17th August 1861 and on 9th October he was ordered to make arrangements for all eight engines to be steamed within ten days and the faults discovered notified at once to the makers for immediate rectification." "The first four, Nos 1, 3, 4 and 5, were built in 1861 by the above-mentioned firm (England), and are illustrated by Fig 2 (Drawing of No.3). Unfortunately very few particulars of these engines are obtainable. The cylinders were 15" in diameter, having a piston stroke of 18". The leading wheels were 3' 6" in diameter, and the driving and trailing 5' 0". By reference to the illustration it will be seen that the leading wheels had outside bearings, and inside to the coupled wheels. There was no dome on the boiler, and the firebox was flush with the barrel. They had two spring balance safety valves over the firebox. The chimney had a copper cap, and a brass casing over the safety valves. The boiler was fed by injectors. These engines had four-wheeled tenders. In 1874 these four locomotives were sold to Messrs. Fox, Walker, & Co., Locomotive Engineers, Bristol." On Tuesday, June 23, 1857, the 3 1/4 miles of railway between Sandy and Potton (Bedfordshire) were opened for public traffic. The line had been built at the expense of Captain Sir William Peel, RN, VC (1824-1858) without any statutory authority. He never saw his railway in operation, as he died at Cawnpore on April 20 1858, after 13 months absesce in China and on Indian Mutiny service, during which he led the naval brigade that dragged the 68-pounder guns hundreds of miles to the second relief of Lucknow. Steam-operated goods traffic was carried from the outset, and public passenger traffic from April 1858. This private railway was taken over in 1862 by the Bedford & Cambridge Railway, an off-shot of the London & North Western Railway, and was re-opened as part of a through line on July 7 of that year. A survivor of the original enterprise is the locomotive "Shannon", whch was built by George England & Company, of the Hatcham iron Works near New Cross, and cost £800. It was called "Shannon" after the steam frigate commanded by Captain Sir William Peel, and was named by his mother, Sir Robert Peel's wife, on June 17th 1857. " "From June 1857, to about January 1862 the "Shannon" worked public goods service (on the Sandy & Potton) and from April 1858, passenger service on "Captain Peel's Railway" on the four mile line from Potton (Beds) to Sandy Junction (Great Northern Railway)"
"Built privately without the need for an Act of Parliament, the Sandy & Potton Railway about 3 1/2 miles long, was made in 1856/7, Mr Culshaw of Biggleswade being the contractor for the works and buildings and Mr Benjamin Shaw Brundell, of Doncaster, the engineer. The line was the sole property of Captian William Peel , RN, third son of Sir Robert Peel, and a large landowner in the neighbourhood-indeed most of the railway was on his own land. The line started in the yard of the Great Northern station at Sandy, and ran through it for a little way, the GNR allowing this on condition that it would be removed if the GNR required the site for its own use. The terminus at Potton was near the south end of the town and had a goods shed, coal yard and small engine shed, the furniture of which included a well that was said to be the source of more anxiety than water. To work the line, a small 0-4-0 well-tank was supplied by George England & Co of Hatcham Ironworks, and ran it's first trip on the line on June 17th, 1857, when it was named "Shannon" (after Captain Peel's 50-gun steam frigate), the ceremony being employed by the Captain' mother as he was overseas. Indeed, Captain Peel never saw "his" railway for, after distinguished service in the Indian Mutiny, when he commanded the Naval Brigade, and was made a KCB, he died at Cawnpore on April 27th, 1858, aged 33. On June 23rd 1857, "Shannon" went from Potton to Sandy and back with a coach of private friends, and on return a dinner was held to officially inaugurate the line. Earlier, Messr's Englands representative had narrowly escaped a scalding from a burst hose at the engine shed.. First appearance of the Sandy & Potton in Bradshaw was in April 1858, when a service of four trains each way daily (except Sunday) was adevertised. All trains connected with GNR services at Sandy, and soon after their introduction, the GNR granted through bookings to London from Potton. On the death of Sir William Peel, the line passsed to his brother, Mr Arthur Wellesey Peel, and on August 6th, 1860, an Act incorporating the Bedford & Cambridge Railway Company received the Royal Assent, the new company being authorised to purchase, compulsorily or otherwise, "the existing railway or tramway between Sandy and Potton". The B&CR was a creature of the London & North Western Railway, which subscribed £70,000 of its capital and appointed three of its five directors (one of whom was Mr A W Peel). Its offices were at Euston station. From January to July 1862, Sandy & Potton trains disappeared from Bradshaw, while the line was reconstructed: they re-appeared in August as part of the Cambridge branch of the LNWR, opened to the public on July 7th, 1862. There had been a formal ceremony on July 4th when a special train of 26 coaches carried the directors and their friends from Bedford to Cambridge and back; before this, alterations had been made at Sandy to improve traffic interchange with the GNR, and a short piece of the origianl S&PR at Potton was abandoned, thecambridge line being carried through the north end of the town. On June 2nd 1864, the Bedford & Cambridge obtained an Act by which it leased the line in perpetuity to the LNWR, and in about 1872 the single line between Sandy and Cambridge was doubled. With the exception of the part between Bletchley and Bedford, the old Oxford-Cambridge line of the LNWR was closed to all traffic from January 1st 1968." "("Shannon") had originally started life on the Sandy & Potton Railway, the brainchild of an extraordinary Victorian, Captain William Peel, VC. Third son of Sir Robert Peel, he saw naval service in many parts of the world and died in Cawnpore in 1858 without seeing his railway in operation. In 1852 he had purchased the land for the railway, which formed a part of his programme for improvements to his estate, about 1,400 acres lyi8ng between Sandy and Potton, and he brought this hitherto worthless land under cultivation. As the railway ran throughland owned by the Captain, it needed no Act of Parliament and opened to passengers in November 1857. To judge from reports, the ceremonial opening of this 3 1/2 mile line in July 1857 was quite an event. Starting from a junction with the Great Northern Railway on the Biggleswade side of Sandy, it curved away on a direct course for Potton, where a banquet was held to celebrate its opening. The 500 guests dined in the Market Place, being entertained by the Bedford Militia Band and artistes who 'gave a variety of glees and songs in superior style'. Apart from "Shannon", which was 'built expressly for the purpose' and was named after the ship the Captain had commanded in India, the rolling stock comprised another tank engine (Little England or Pygmy Giant? ), a brake van, two wagons and one trolley. The signalling system was rather primitive; it consisted of a red flag, which was waved when a passenger wished to entrain. Although the line fulfilled its purpose of carrying heavy flows of agriculturl produce, an extension towards Cambridge was greatly desired. Instead of extending itself, however, the Sandy & Potton was purchased by the Bedford & Cambridge Railway, a line authorised in 1860, and "Shannon" was put to work hauling contractor's trains over it's former stronghold." 1869/Works no.n/k/0-4-4-0T/Outside cylinders 81/4"x13"/Driving wheel/ 2'4"/1'11 1/2" gauge/Festinog Railway/No.7 "Little Wonder"
1869/Purchased by England-(not built at Hatcham, built by James Cross in 1865 for Neath & Brecon Railway- see under Robert Fairlie blog)/0-4-4-0T/Cylinders n/k/Driving wheel n/k/Standard Gauge/Built for Neath & Brecon Rly/"Progress"
"According to Engineering for 11th June 1869 p 406, England had purchased from James Cross of St Helens the engine "Progress". It had been built "three or four years ago" says the article and "has recently become the property of Mr. England." What he did with it, i do not know, unless he altered it and sold it under another name. Was it the Fairlie engine which went to the Chemin de fer de la Vendee?" 1869/Works no.n/k/0-4-4-0T/Outside cylinders 10"x18"/Driving wheel 3'6"/Standard gauge/Nassjo Oscarshamm Rly/ "Pioneer" then "Mountaineer". 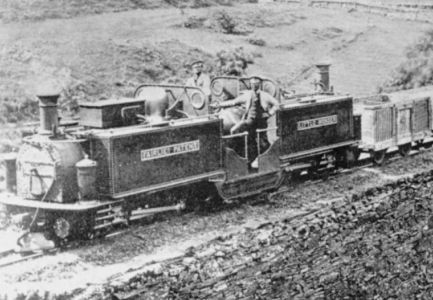 "Two locomotives of the 0-4-4-0 type were ordered by the Nassjo-Oscarshamm Railway in Sweden, but the first of those, when completed in December 1869, was sold instead to the Burry Port & Gwendraeth Valley Railway in South Wales. 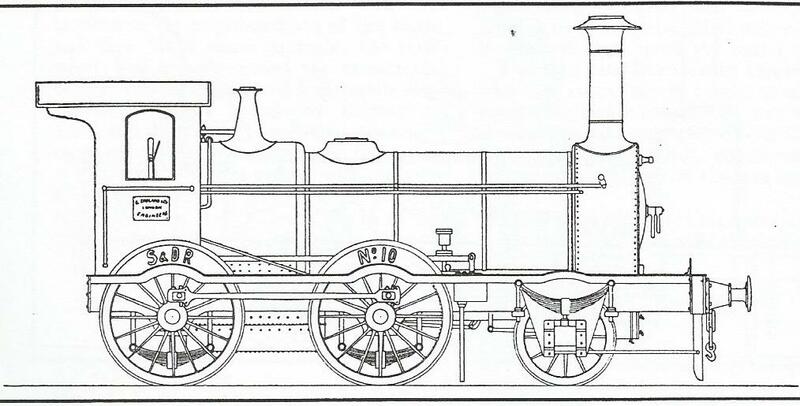 This locomotive, originally named "Pioneer", was renamed "Mountaineer" and is illustrated in Fig.7. 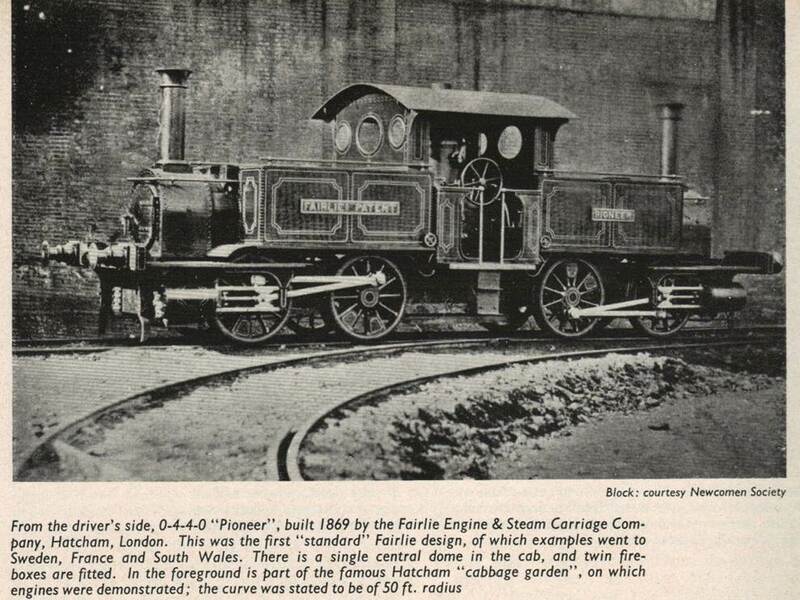 The photograph shows a name plate on the edge of the footplate, the inscription reading 'FAIRLIE ENGINE AND STEAM CARRIAGE CO. LONDON. 1870'. In 1877 it was tried on the severe gradients of the Pantyffynon to Rhos line of the Great Western Railway. 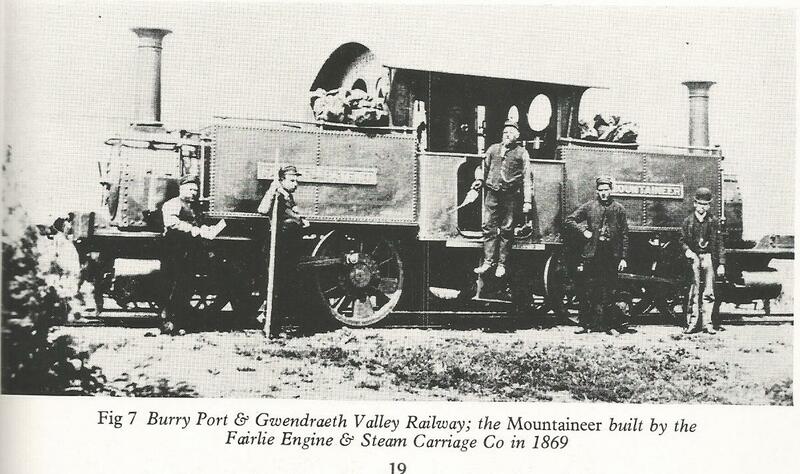 The length of time that this locomotive remained in service is not known, but it appears to have been dismantled at Burry Port before 1900; the bogies being used for the transport of machinery to the local collieries, while the boiler shells were converted for use as a culvert at West Dock, Burry Port. The second of the the locomotives ordered for Sweden was delivered there to the British contractor, J Morton & Sons, and was named "Morton". After the failure of this firm it was transferred to their successors, Clark, Punchard & Co who renamed it "Clark". Later it carried the No1 of the railway, and when taken over by NOJ in 1874 it was renamed again, "Hultenhein". It ceased work in 1902 after a boiler explosion. A third locomotive, identical with the above pair was built for the Chemins de fer de la Vendee in France and was officially recorded as being in use use there in 1871. When this line was taken over by the State system in 1879 this locomotive was already out of use. These three small locomotives had the following leading dimensions: the cylinders were 10" diameter by 18" stroke; wheels were 3ft 6" diameter, with unusual divided balance weights; bogie wheelbase 5ft; total wheelbase 19ft 6". The boiler barrels were 8ft 6" long by 2ft 10" diameter. Heating surface of tubes 763 sq ft, fireboxes 70 sq ft, making a total heating surface of 833 sq ft. Grate area 11 sq ft. Capacity of water tanks 700 gallons, while the coal bunkers held 15cwt. The total weight was 25 tons. It should be noted that no brake blocks are visible in the photograoh; was some form of band brake used?" 1870/Works no.n/k/0-4-4-0T/Outside cylinders 10"x18"/Driving wheel 3'6"/Standard gauge/Nassjo Oscarshamm Rly/ "Morton", then "Clark" then "Hultenhein"
1870/Works no.n/k/0-4-4-0T/Outside cylinders 10"x18"/Driving wheel 3'6"/Standard gauge/Chemin de fer de la Vendee/"Angleterre"
"The President of the Vendee Railway, Monsieur Charles Jenty had inspected the Festiniog Railway in 1870, according to 'Engineering' of 25th February 1870, as a member of a French Commision sent to report on the line and it's system of working. 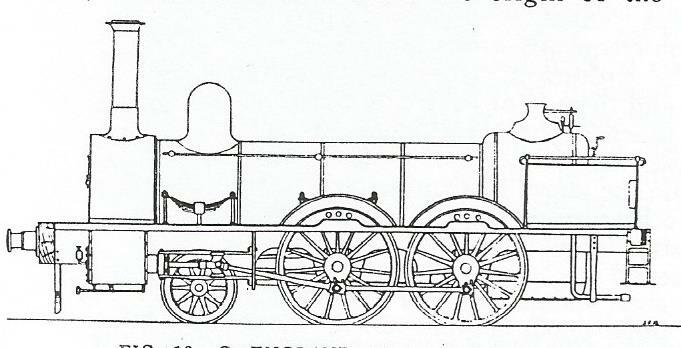 A curious error in the lsit of engines taken over from the Cdf de la Vendee, points to George England as the builder of their one and only Fairlie locomotive. All the other engines taken over are listed under the maker's name, but in the case of the Fairlie locomotive there is merely the mention of "Angleterre". I am quite convinced that this is an error, the name of the builder being taken for that of the country of origin. It might have been Cross's engine "Progress" which England purchased"